As-Salt city, capital of the Balqa Governorate, tightly built on three hills (Jada'a, Qala’a and Salalem) with a central plaza at the valley floor, is just a half hour drive from Amman. Occupied since the Iron Age, due to the mild climate, rich water source and fertile land, it became one of the most important settlement between the Jordan Valley and the Eastern Desert. It was called Saltus (forest) by the Romans, and Gadaron in the Bizantine Era. In the 19th century, during Ottoman rule, it was the center of lucrative trading between the region and the main cities of Palestine, and benefited from its position on the Syrian pilgrimage route to Mecca. 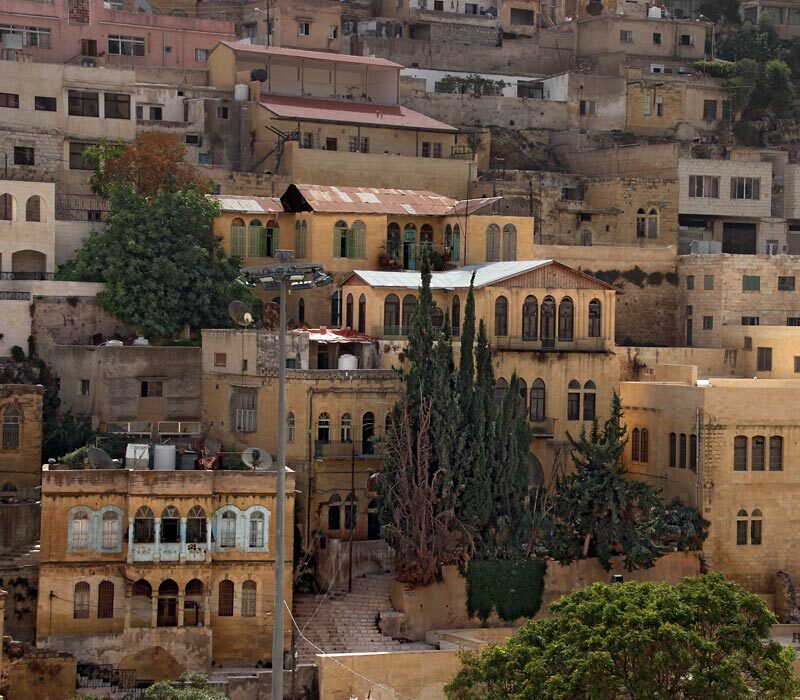 Between 1865 and 1925, As-Salt was transformed from a rural settlement into a prosperous city with the arrival of merchants from Nablus, Syria and Egypt. This new entrepreneurial class consolidated a thriving and tolerant society, respectful of different religions, who invested in businesses and in representative residences. Among the stone masons and architects who helped build the new city, Abdel Rahman al Aqrouq from Nablus (1851-1944) became the leading personality of a group of builders, stonecutters and craftsmen, who followed his charismatic character and original ideas. They incorporated European references and Middle-Eastern traditions in the buildings that --combined with their technical skills and individual tastes-- created As-Salt's distinct architecture. With the end of the First World War, and Ottoman rule, Emir Abdullah Bin Al Hussein declared the establishment of Transjordan in 1921 in As-Salt, and the city served as the first capital for the young state. 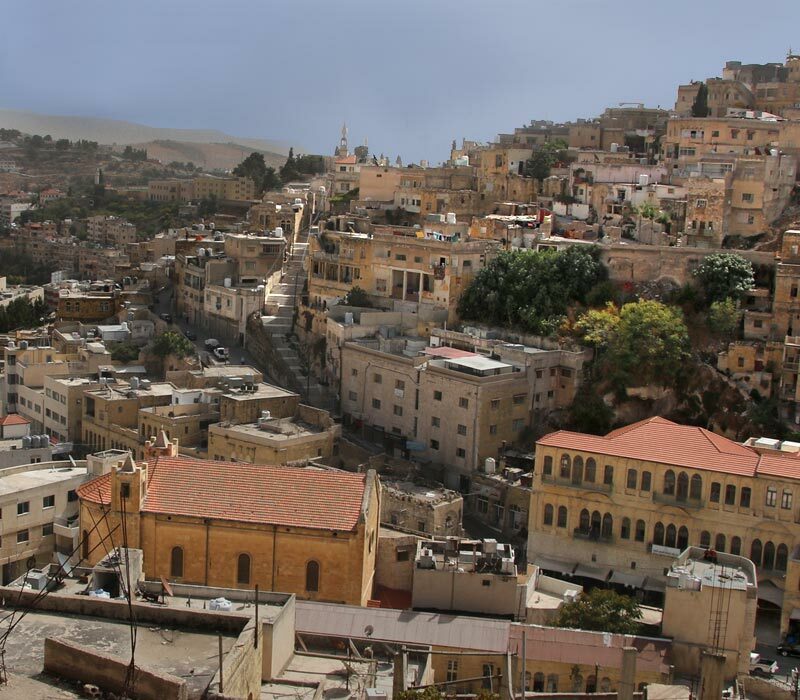 After Amman finally became the Jordan's capital, the golden days of As-Salt ended, and as a result, it never experienced a modernization boost, and could therefore maintain a large part of its historic fabric. 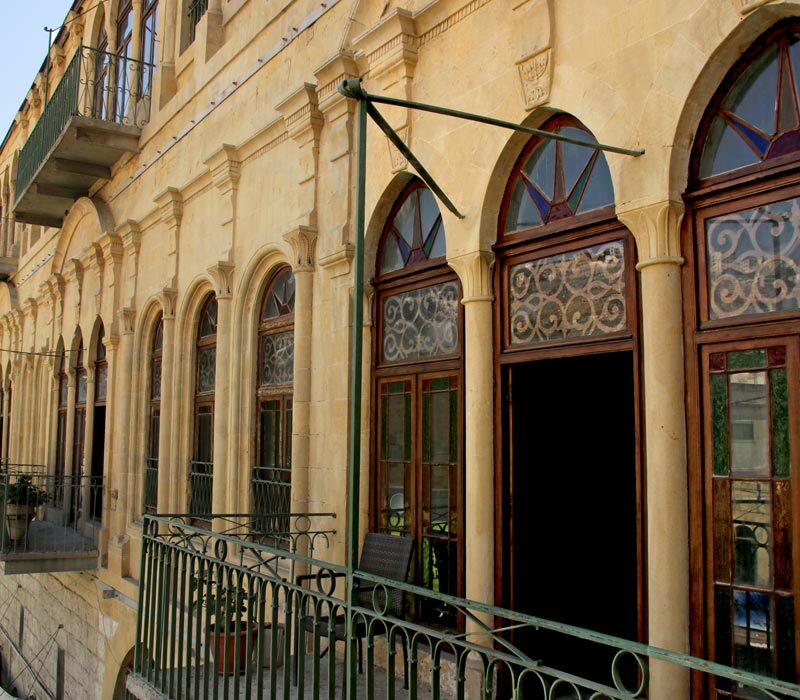 As-Salt’s architectural heritage, with more than 600 historical buildings, many of them with domed roofs, interior courtyards, and characteristic tall, arched windows and fine ornamental elements, was reappraised in 1984 and 1990. Since then, several restoration and development projects have been carried out and continue today, also in cooperation with foreign institutions.